5 Star Billing is an expert provider of billing services for hospitals, with our services utilized by healthcare organizations throughout the United States. Our experience and dedication will give you complete, financial peace of mind and help you run your hospital more efficiently. Exceptional customer service with support and open communication between you and 5 Star. When you choose 5 Star Billing Services, you will receive outstanding and comprehensive billing and collections services for your hospital. Comprehensive billing and collection services. Full account receivables management and reporting. Expert analysis to identify problems and establish the most effective billing and coding procedures. Fast, electronic processing of your claims. All of our services are fully compliant with all HIPAA standards and regulations. Our certified billers and coders have extensive experience and work side by side with your hospital to optimize your operations and ensure that you receive payments and reimbursements on time. Our certified hospital coders aim to provide the highest return on your claims at a competitive price. We provide personalized attention and cater to all hospital models, from a large multi-site operation to smaller services. Our service gives you 24/7 accessibility to your patient data and financial information. Our service helps accelerate payments and reduce stress. 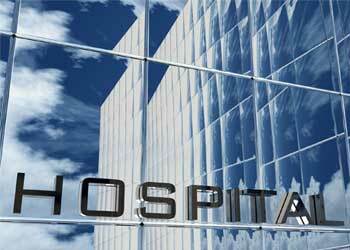 Our services and software systems can reduce your hospital expenses. Our web-based billing software uses the latest technology and can conveniently connect to your hospital’s own data. Depending on your preference, we can also work with your current software. Our team of billing specialists are experienced in most major systems, including Epic, MediTech, CPSI, McKesson, Siemens Healthcare, Eclipsys, NextGen, and others. We take strict measures to ensure that your data and processes are 100% secure and fully compliant with all HIPAA security and privacy guidelines. We accomplish this with rigorous security checks and maintenance so that you can have complete peace of mind.